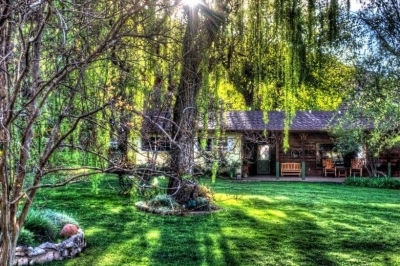 The Vineyards Bed and Breakfast is located in historic Page Spring/Cornville just minutes from Sedona, Arizona. 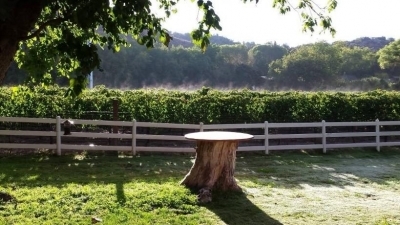 This B&B offers luxurious king bed suites and a full, home-cooked breakfast. Nearby Page Springs adventures include kayaking Oak Creek behind the property, birding and nature trails, miles of off-road trails, horseback riding,and three distinct wineries within a one mile radius. And the fun need not stop there: The Verde Valley wine trail boasts over 20 tasting rooms and continues in the nearby towns of Cottonwood, Clarkdale, Camp Verde and Jerome. After wine tasting, go explore beautiful Sedona, experience the Verde Canyon Railroad, brave the Haunted mining town of Jerome.... then retreat back to your country 'home away from home'. 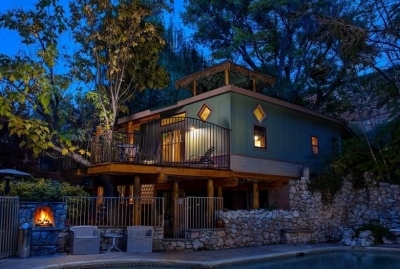 Whether you seek an unsurpassed Arizona wine tasting experience, a Sedona Red Rock adventure or simply prefer to relax at this magical oasis, The Vineyards Bed and Breakfast offers it all. Room Types 3 Suites: 1. Romantic Cabernet Suite boasts king bed and ensuite bath with Jacuzzi; 2. Chardonnay Suite boasts king bed and pull-out queen sofa bed with private bath, OR 3. private Tiki Tree House -Tropical Paradise Oasis meets Traditional B&B charm. Located in historic Page Springs/Cornville, Arizona. Minutes from Sedona and Cottonwood, Arizona . Just an hour North of Phoenix, Arizona off I-17.